Businesses and environmentalists say Maine should endorse President Obama's climate-change plan to help protect the state's most important fishery. 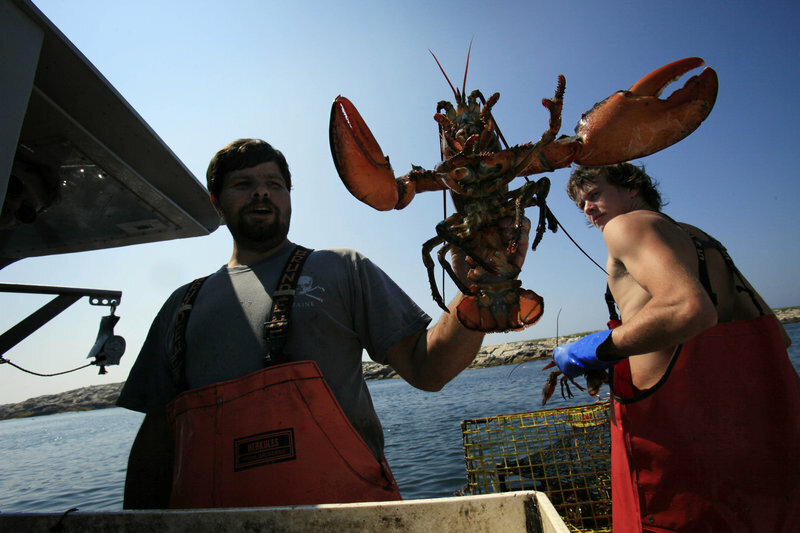 PORTLAND — Drastically reducing carbon emissions would likely slow the negative effects of climate change on the Gulf of Maine lobster industry, leaders of the Maine environmental, scientific and business communities said Tuesday. Scientists have said climate change is producing rising water temperature and increased acidification in the Gulf of Maine. As those changes play out, disease and life-cycle changes occur in lobsters and other shellfish. This has raised concerns about the state’s most lucrative fishery, said environmental advocates from the Natural Resources Council of Maine and marine scientist Rick Wahle, a University of Maine zoologist in the School of Marine Sciences. They and representatives of the Maine Lobster Council, Ready Seafood Co. and the Maine Restaurant Association launched a campaign Tuesday to raise awareness about the economic value of the state’s lobster fishery and the challenges it faces. So far, one of the biggest problems for the Maine lobster industry, ironically, has been its own success. Marine biologists have documented the fact that while lobster fisheries in southern New England are languishing, those in the Gulf of Maine are thriving as lobsters abandon warmer waters as far south as Long Island Sound and move north. The surge in lobster numbers in the Gulf of Maine has led to an oversupply, which last year caused the per-pound price at the pier to dip as low as $2.50 in some areas. Partly in response to that, an aggressive new marketing campaign, funded by $2 million a year in state money, is attempting to open untapped global markets for Maine lobsters. Tuesday’s news conference was part of that campaign. But the lobster glut in the Gulf of Maine is no reason for complacency, marine biologists have warned. Lobsters here have shown negative reaction to warming water temperatures and ocean acidification, as is evident in their early shedding and migrating north to colder water, said Wahle. Disease and parasites could become a problem if climate change is not slowed by reductions in carbon emissions. In southern waters, lobsters have developed a disease that causes their shells to slowly disintegrate. “I don’t want to paint too rosy a picture,” he said. Because the problems facing the industry appear to be primarily related to climate change stemming from human activity, the group underscored the need for Mainers and legislative leaders to support passage of President Obama’s carbon-reduction plan. The Released last week, the plan calls for drastic reductions in carbon emissions nationally. According to the NRCM, pollution from burning coal, oil and gas in power plants accounts for roughly 40 percent of all U.S. carbon emissions. “Maine can’t solve this problem alone,” Theberge said. The public information campaign was launched in anticipation of the Fourth of July holiday, and was designed to demonstrate how important the lobster is to Maine’s identity, history, economy and seacoast communities. The group held the news conference at Portland Lobster Co. restaurant on the Portland waterfront.